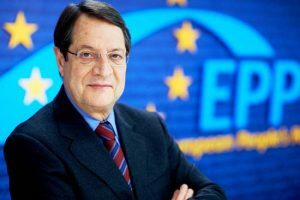 :: Cyprus President Nicos Anastasiades has expressed pride for the contribution of the Armenian community in the political, social, and economic life of the island, Cyprus Mail reported. Nicos Anastasiades recalled, during the event in honor of the Armenians of Cyprus that both nations have fallen victim to the same aggressor, noting that they did not surrender but fought and are continuing to struggle for the great principle of justice in order to prevail on the international scene. “This is why Cyprus was one of the first European countries to recognise the Armenian Genocide and we have jointly condemned the perpetrators of this crime,” the President said. “As a state, we will always show off proudly the fact that your small community manages with its vigour to be present in all aspects of our country’s life – political, social and economic,” he said, referring to the Armenian community in Cyprus. Mr Anastasiades also spoke of his vision for a free and reunited Cyprus, where all Cypriot citizens will live in peace and prosperity: Greek Cypriots, Turkish Cypriots, Armenian Cypriots as well as Cypriots of other ethnic origins.